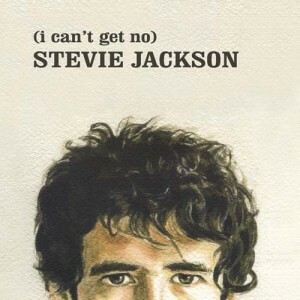 I’m delighted to announce that my solo album, (I Can’t Get No) Stevie Jackson is available now. Rather than hanging around (we only finished mastering it last week), it is available to download immediately directly from us at Banchory. We have sent the art and the masters off to the factory too – so there will be physical copies in about 4 weeks time: CDs and a nice, heavyweight / gatefold vinyl edition. When you buy, you have the option of buying a download on its own, or to get an download with a CD or vinyl copy sent out to you as soon as we get them. If you’d prefer to wait for the physical editions, they will be available to buy separately from 24th October, again directly from the website. Initially, the album will not (as K-Tel used to say) be available in the shops: at least to begin with it will only be available directly from us and at my forthcoming shows, of which, more later! By way of background, there are twelve songs on the record, which have been written and recorded intermittently in Glasgow and Vancouver since Belle and Sebastian finished touring The Life Pursuit in 2006. As well as featuring assorted members of the band (Bob was a constant throughout; Mick helped arrange some of the tracks and Richard, Chris and Sarah all played on different songs) the Glasgow sessions include contributions from my long-term friends and collaborators including Bill Wells, Roy Moller and Gary Thom (The Company), Alex Neilson (Trembling Bells) and Katrina Mitchell (The Pastels). Three songs were recorded in Vancouver with the New Pornographers’ rhythm section, Kurt Dahle and John Collins. 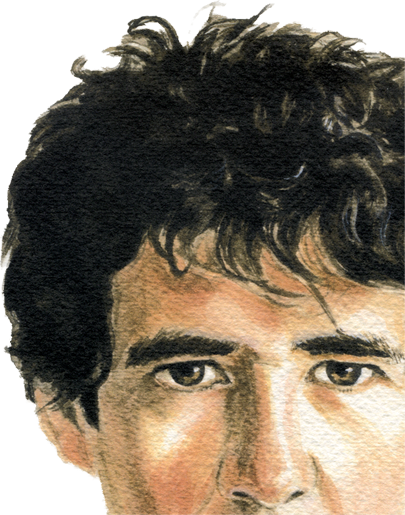 If you are interested, I’ve written a bit about each of the songs in part of the website where you will find lyrics, some back stories, links, photos and, perhaps even a few hidden audio tracks for download. You can also preview 2 of the songs from the album – Man of God and Try Me in their entirety on Soundcloud : (Man of God is available to download for a limited period. The plunge has been taken and the shows booked. . .I am heading out on tour in November with Bob Kildea, Stuart Kidd and Marco Rea to play some songs from the record I have been working on for the last few years. 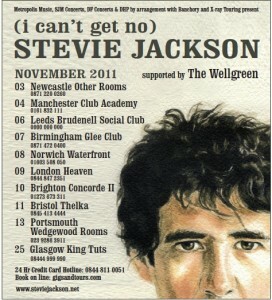 The shows begin in Newcastle on November 3rd and wind their way through England and the North of Europe before coming back to finish with a hometown show in Glasgow. There will be more shows next year, but this will be the first chance to hear the songs to co-incide with the release of the record, of which, more news soon. Tickets for most of the shows go on sale from 1st September – we will add the full links for each shows as and when we have them. I’m delighted to say that the multi-talented pair of Marco Rea (bass) and Stuart Kidd (drums) will be joining me on tour – both as the rhythm section in my band and in their own right as support. If you haven’t heard their amazing combination of grooves and harmonies – have a listen to their great album, Wellgreens (Spotify link) or visit their Myspace site and get along to the shows early. You will be blown away!